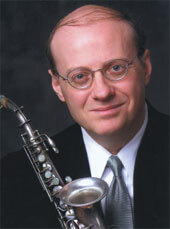 Rich Daniels is the musical director of The City Lights Orchestra in Chicago. The orchestra is a highly sought after entertainment attraction for corporate and association events, as well as non-for-profit charitable galas. Since 1974 Daniels has been making music professionally and appearing across the country at private events and concerts. Over the years Daniels and the orchestra have appeared with some of the greatest names in show business. The orchestra was regularly featured with Ray Charles whenever he was in the Midwest, as well as Mel Torme, Burt Bacharach, Dionne Warwick, Dennis DeYoung, Diane Schuur, Dihann Carroll, The Four Topps, Smokey Robinson, The Manhattan Transfer, Frankie Laine, David Foster and the list goes on and on. Daniels conducted the orchestra in a special appearance with country superstar Garth Brooks for the annual Ronald McDonald House Awards of Excellence Gala. He even received a compliment from legendary "Beatle" Sir Paul McCartney. Daniels was summoned to McCartney's suite at the Ritz Carlton Hotel to give a private saxophone lesson to McCartney's then wife, Heather Mills. Recently, Daniels became the musical director of The Capitol Hill Orchestra which performs in the Washington D.C. area. Counting his many blessings on a regular basis, Daniels has tried to give back to the community whenever possible. To that end, he is the current chairman of the board at Chicago's Mercy Home For Boys & Girls. Additionally, he chairs the Dean's advisory board at the DePaul University school of music, is a delegate to the Chicago Federation of Labor and he is the senior board member at the Chicago Federation of Musicians. He is married to the love of his life, Kathy and they have four wonderful children: Rich (18), Mary Kate (16), Emily (14) and Maggie (12). WOW— what more can I say about Rich Daniels & The City Lights Orchestra!!?? They cook, they smoke, and they had virtually all 650 guests on their feet dancing Friday night at our Milwaukee Symphony Orchestra Ball!!! They stole the show! What a talented group!